Designed for ease of installation. Rayleigh Instruments has introduced a novel method of wiring and installing power meters and current transformers. 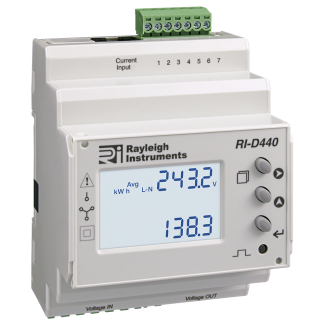 The new 'EasyWire' system substantially reduces the time it takes to wire and install three phase current transformers and multifunction energy meters, thanks to a design that allows plug-in connections to be used for both current and voltage input/output. Power-up your meter... Plug the ready-made ‘supply’ lead connector into your meter. Connect the other, ferrule tipped, ends to the supply, not forgetting to use the correct fuses, and you’re done. 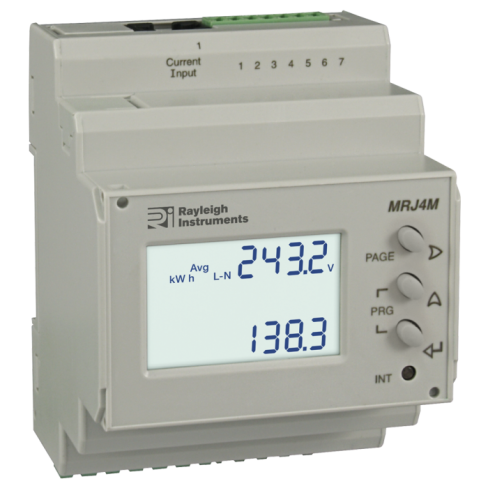 The MRJ4M Easywire Meter is designed so the MRJ4M meter has a daisy-chain voltage connection that means only a single volt reference (1 per phase) needs to be use for a group of meters.